Lankaran (Azerbaijani: Lənkəran, Ләнкәран, لنکران) is a city in Azerbaijan, on the coast of the Caspian Sea, near the southern border with Iran. It has a population of 51,300 (2014). It is next to but independent of Lankaran rayon. The city forms a distinct first-order division of Azerbaijan. The old form of the name was "Langarkanan" that in Persian means "the place of pulling up the anchor(s)" : "Langar" (Persian: لنگر‎‎, anchor) + "kan" (Persian: کن‎‎, to pull) + "an"(Persian: آن‎‎, suffix of places). However, some sources state that Lankaran is said to come from the Talish words for 'Cane house', which sounds as 'Lan Karan'. Alternatively, from Median *Lan(a)karan-, where *karan- means 'border, region, land' and Lan is probably a name of a Caspian tribe. The city was built on a swamp along the northern bank of the river bearing the city's name. There are remains of human settlements in the area dating back to the Neolithic period as well as ruins of fortified villages from the Bronze and Iron Ages. With the death of Nader Shah (r. 1736-1747), the Talysh Khanate was founded by a certain Seyyed Abbas, whose ancestors were members of the Iranian Safavid dynasty, and had moved into the Talish region during the 1720s during a turbulent period in Iranian history. From the founding of the khanate, until 1828, it was under the suzerainty of the Iranian Zand and Qajar dynasties. In the first half of the 18th century, the Russians gained control over it for a few years through the Russo-Persian War of 1722-1723; in 1732 it was ceded back to Iran by the Treaty of Resht. During the Russo-Persian War of 1804-1813, General Kotlyarevsky heading the southernmost Russian contingent during the war, stormed and captured Lankaran's fortress. Following the Treaty of Gulistan of 1813, it was returned to Qajar Iran. However, the Treaty of Turkmenchay (1828) that followed through the next and final bout of hostilities between the two, the Russo-Persian War of 1826-1828, Qajar Iran was forced to irrevocably cede the city to Russia. Once absorbed into the Russian empire, it became a part of the Azerbaijan Soviet Socialist Republic after the Russian revolution in 1917, and the short time as part of the Azerbaijan Democratic Republic. In 1991, following the dissolution of the Soviet Union, it became a part of independent Azerbaijan. There are sandy beaches near Lankaran. Thermal sulphide, chloride, sodium-calcium waters of Andjin (Upper and Lower) mineral springs are situated 12 km west of the town. Also to the west are the ruins of Ballabur castle, near the village with the same name. The region has a vast area of national parks, where a variety of fauna and flora are preserved. Gizil-Agach State Reserve hosts over 250 kinds of plants, 30 species of fish and more than 220 kinds of birds. Lankaran is also known for Parrotia persica, or ironwood. It is naturally grown in the region and could be seen in Hirkan National Park. Local myth has it that it is the only wood that sinks in water, hence the name (ironwood). Historically it has been used for heating, since it burns for a long time and is not easily extinguished. The Persian leopard (Panthera pardus saxicolor) subspecies of the leopard, lives in the national park as well. In 1937, members of the Opilio lepidus species of harvestman were sited in the area. 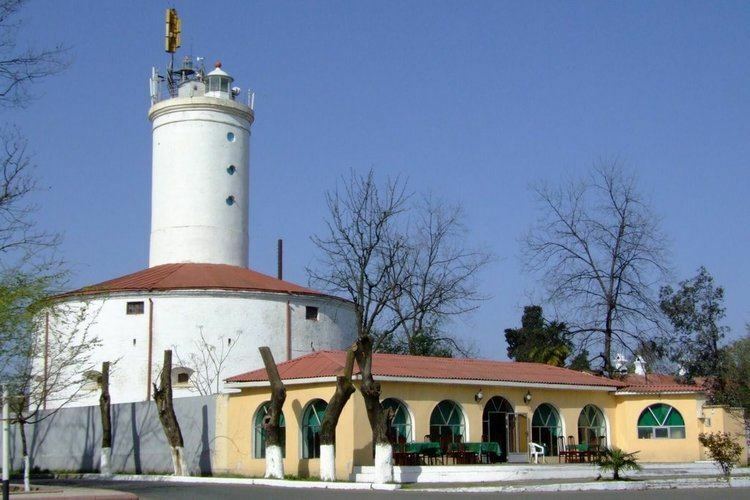 Lankaran has a humid subtropical climate (Cfa), which borderlines the Mediterranean climate. Lankaran has cool, wet winters and very warm, dry/highly humid summers. The maximum annual precipitation of 1,600 to 1,800 mm, and is the highest precipitation in Azerbaijan. Dominating spheres in Lankaran economy are vegetable-growing, tea-growing, paddy cultivating, cattle-breeding, citrus plants, beekeeping, fishing, and grain farming. Favourable humid subtropical climate, availability of good arable land, water and sufficient labour resources of city provides a good basis for agricultural activities as well as development of agro-processing enterprises. The city is also home of Azerbaijan's first tea plant, built in 1937. Lankaran is home to Azerbaijan's largest Talysh community. The religion with the largest community of followers is Islam. The majority of the Muslims are Shia Muslims, and the Republic of Azerbaijan has the second highest Shia population percentage in the world after Iran. The city's notable mosques include Kichik Bazar Mosque and Boyuk Bazar Mosque. As of 2012, the city along with Baku and Ganja participated in Earth Hour movement. Lankaran's cuisine has largely been affected by its multicultural history, hence the large variety of food originating during Talysh Khanate. Lankaran's signature cuisine includes lavangi, Lankaran kulcha, marji plov, white plov, pumpkin plov and turshu kebab. Lankaran is home to several national folk performers, including the Bacılar (The Sisters) national Talysh folk and dance collective. The regional channel Janub TV and newspaper Lankaran are headquartered in the city. The city has one professional football team competing in the top-flight of Azerbaijani football - Khazar Lankaran, currently playing in the Azerbaijan Premier League. Sporting venues in the city include the Lankaran City Stadium and Lankaran Olympic Sports Complex. The stadium was one of the venues for the group stages of the 2012 FIFA U-17 Women's World Cup. In 2012, the city won to host European Masters Weightlifting Championship. Lankaran has a large urban transport system, mostly managed by the Ministry of Transportation. The Lankaran International Airport is well served with connections to domestic and international destinations. The airport's international terminal was opened in September 2008 and the airport is set on its way for becoming one of the busiest hubs in Azerbaijan. The city has rail service from historic terminals in downtown to Baku in the east and Astara in the south. 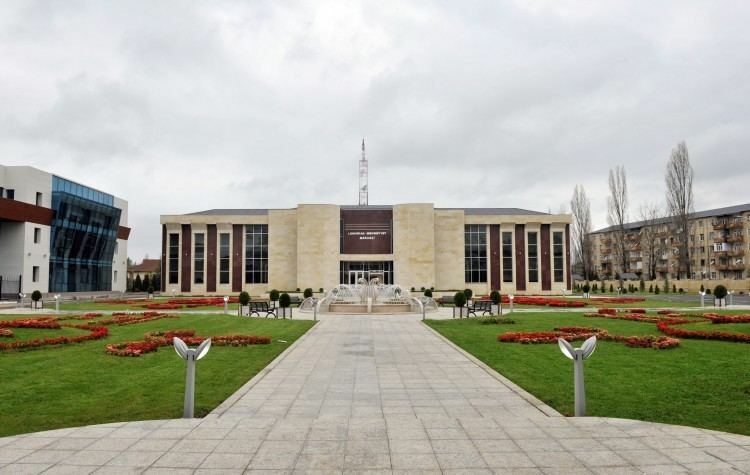 Lankaran State University - Founded in 1991, Lankaran State University is Lankaran's first university to start courses. Some of the city's many prestigious residents include: Major-General of the Soviet armoured troops during World War II Hazi Aslanov, General of the Artillery in the Imperial Russian Army Samad bey Mehmandarov, folk singer and theatre actress Jahan Talyshinskaya, social activist Maryam Bayramalibeyova, pop singer Ilhama Gasimova, weightlifter Turan Mirzayev, singer Hagigat Rzayeva and footballer Dmitriy Kramarenko. Lankaran is twinned with various cities.